Toronto may have their film stars and movie sets, but to see Canada’s brightest stars you’ve got to venture beyond the big city lights. 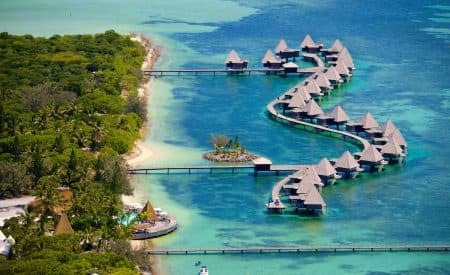 From reflective lakes and sloping valleys to rugged mountain ranges and hilltop observatories, we’ve scoped out the best vantage points for encountering the cosmos. 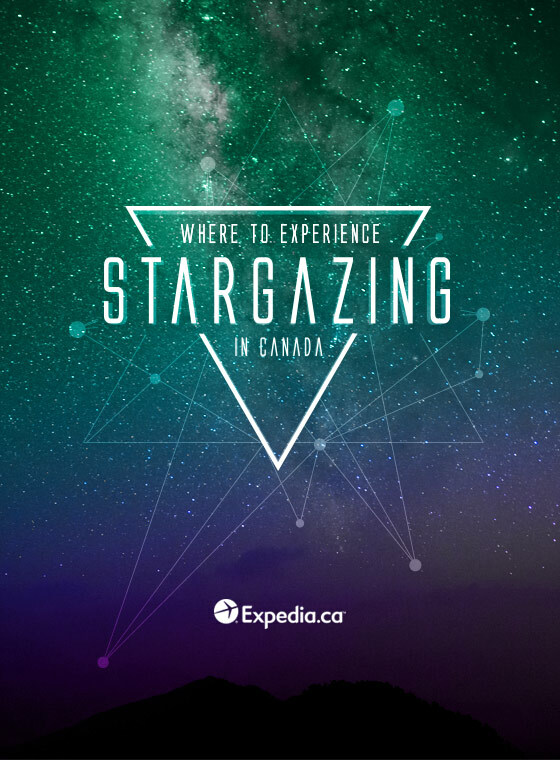 Plan a trip to these glittering destinations and enjoy stargazing all over Canada. Surround yourself in meteor showers sprinkling light across the sky, and try to spot Cassiopeia tossing wishes into the Big Dipper. You might even get a glimpse of the Aurora Borealis while you’re at it. 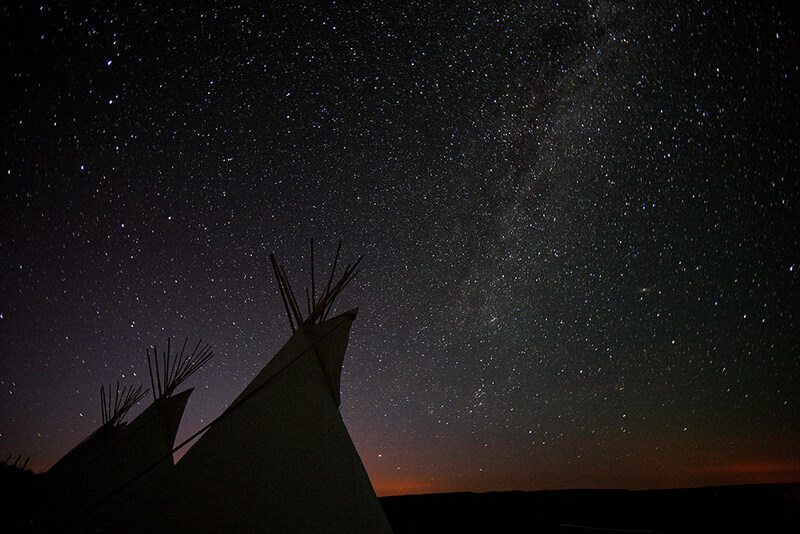 Check out this list of the top 10 stargazing spots and keep your eyes on the sky! 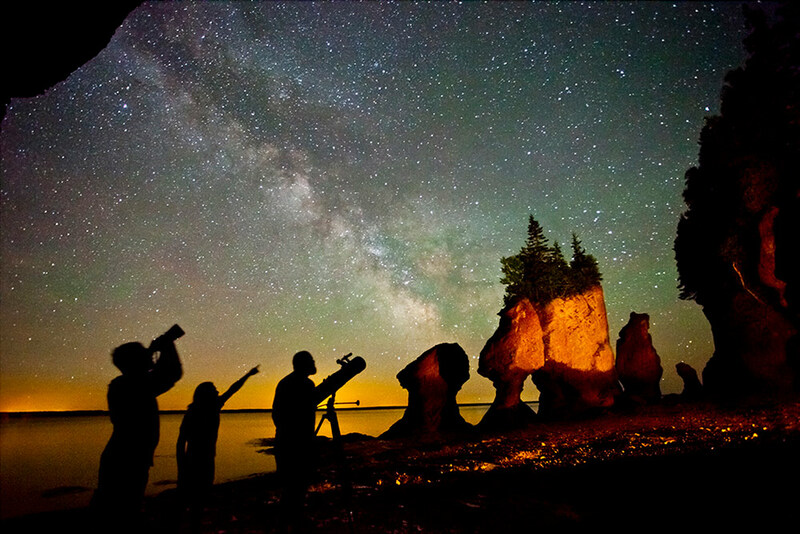 When you can’t decide between a beach getaway and a stargazing excursion, make your way to the Bay of Fundy. Located 35 km southwest of Moncton, Hopewell Rocks Provincial Park provides a unique setting among natural rock formations and the world’s highest tides. At night, the stars shine so bright they illuminate the surrounding cliffs and giant pillars. Whether you spend your day hiking, kayaking, or skiing, steal away for secluded star-watching in the Big White Mountain Ecological Reserve. 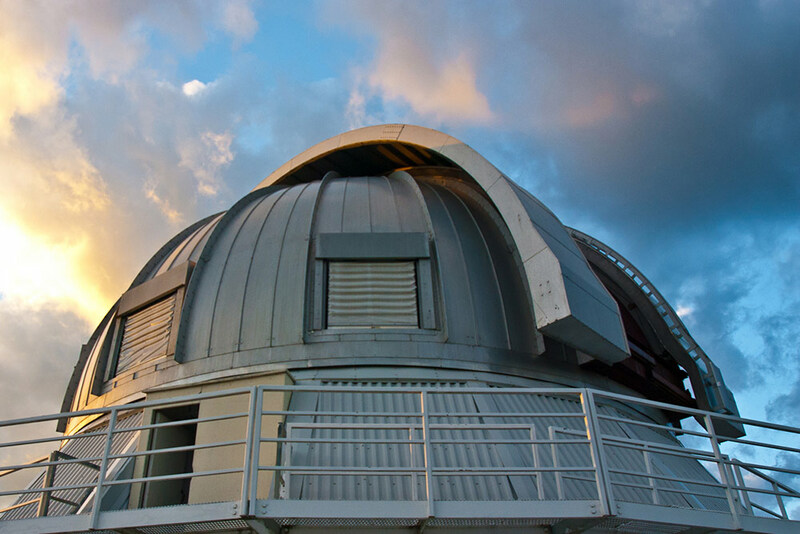 For a breathtaking view that’s available to all travellers, visit Okanagan Observatory, and experience wheelchair-accessible stargazing near Kelowna. When you arrive in Leamington, you’ll swear you’ve stepped into a beach paradise, even without an ocean shore. The lush, southernmost tip of Ontario dips into Lake Erie, and it’s surrounded by deep teal-blue water. Take a telescope and look out to the heavens or watch the water glow with the reflection of thousands of stars. Grasslands National Park sits far from the bright lights of Regina, but close enough for day trips in the city. Bring the family for an easy hike over gentle rolling hills and listen to the wind rustle through the long grass as you teach the younger generation about the galaxy. The nearest village, Val Marie, offers a serene retreat in the rugged landscape. Sprinkled with several picturesque peaks, Garibaldi Provincial Park is a peaceful place to stare up at the sky from your own mountain top. Stay on the northern edge of the park in nearby Whistler, and wander a short distance into the wild. Drive 130 km east from Winnipeg and you’ll find Whiteshell Provincial Park. This popular patch of land is known for its rainbow-hued sunsets, but don’t hurry back to the city before dark. Swirls of the Milky Way are especially visible over this region. 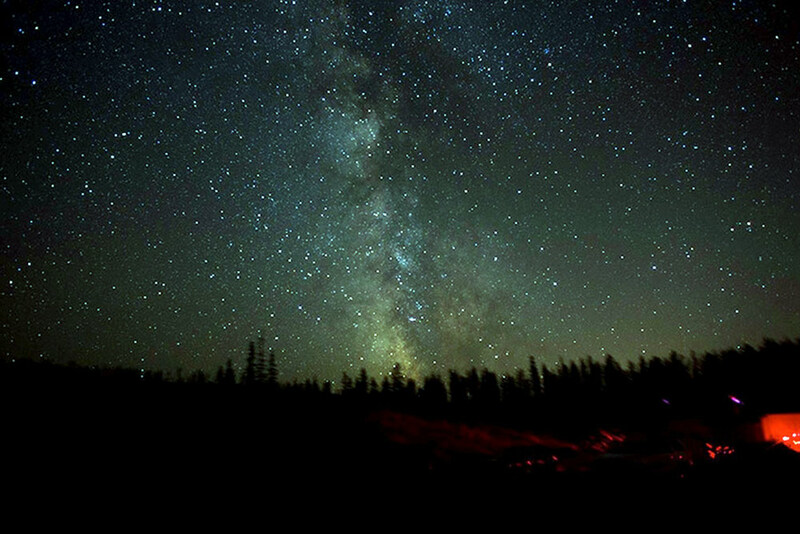 In 2007, Mont-Mégantic National Park was named the first international dark-sky preserve in the world. Relax to the songs of several indigenous birds who thrive thanks to the low levels of artificial light. Stay in Sherbrooke, the nearest city, and take the scenic route. Hint: It’s all scenic route. Located in Banff National Park, the Vermilion Lakes glisten along the winding Bow River. 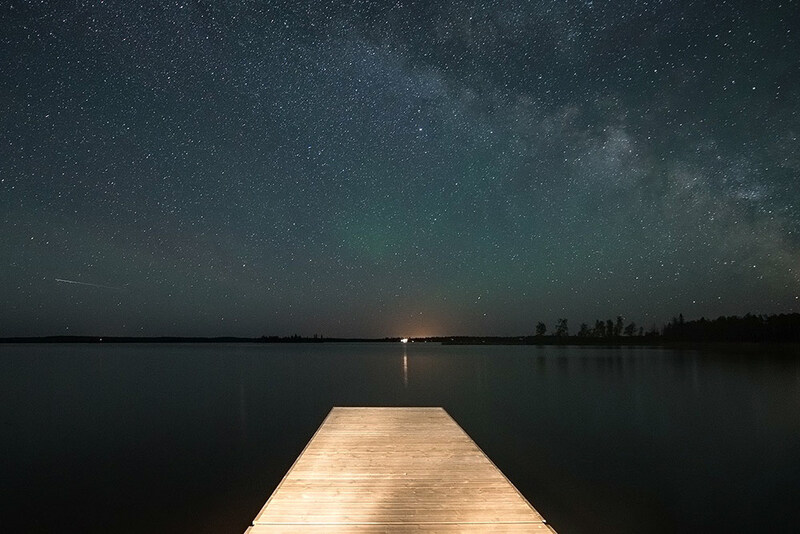 Sit on a picturesque dock at sunset and stick around to watch the constellations reflect off the surface of the water. 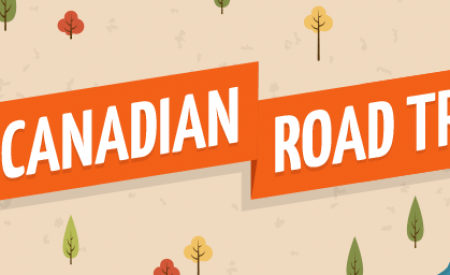 Visit in late November, and plan your stay around the Banff Craft Beer Festival. 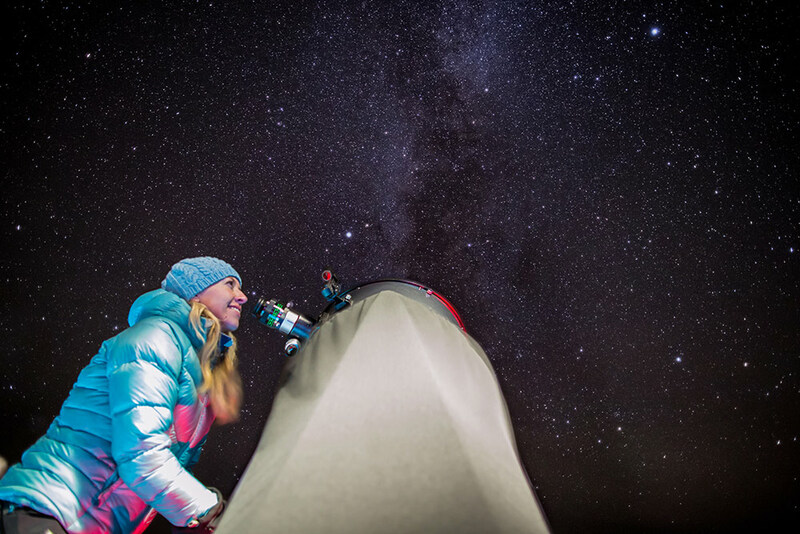 There’s no better pairing than Banff stargazing and beer! 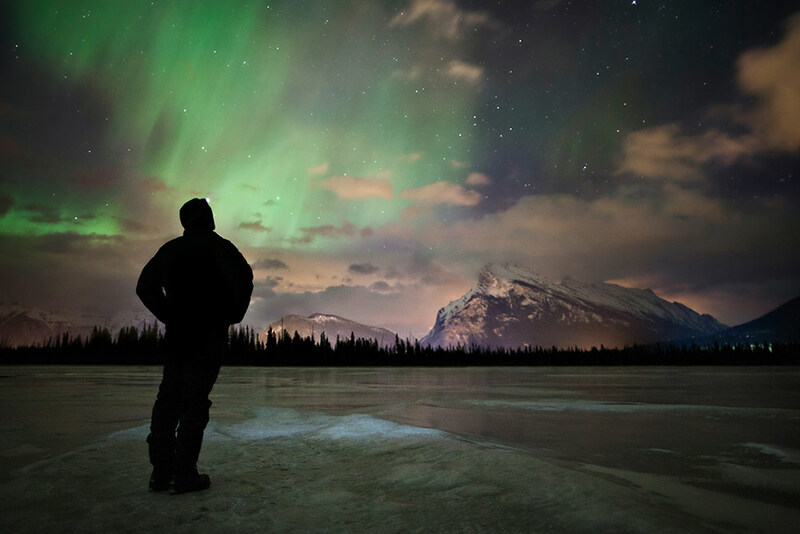 Located in the Canadian Rockies, Jasper is one of the most star-crazed destinations in Canada, thanks to low light pollution and frequent northern lights sightings. The Jasper Planetarium and Telescope hosts events for curious amateur astronomers. Visit in October and join the celestial celebrations at the annual Dark Sky Festival. This park is huge — the largest national park in Canada — stretching from northern Alberta to southern Northwest Territories. It also holds the title for the largest Dark-Sky Preserve in the world, with an area of 44,807 square kilometres! 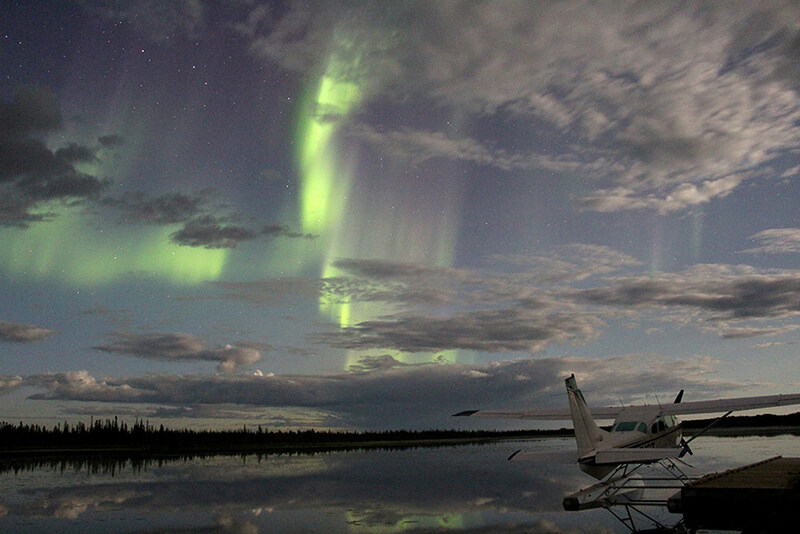 Observe herds of majestic wood bison in their natural habitat, and keep an eye out for the northern lights shimmering over the planes. 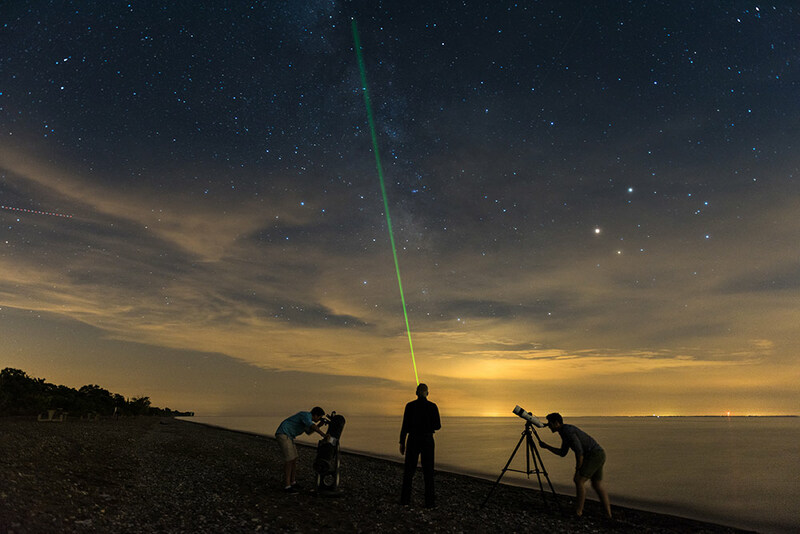 No one can deny Canada stargazing is among the best experiences in the galaxy — no exaggeration necessary! If you’ve been wishing for a gorgeous getaway, we know where you can find some shooting stars. Whether you’re planning an outdoor adventure in your home province, or embarking on a cross-country getaway, the sky’s the limit. 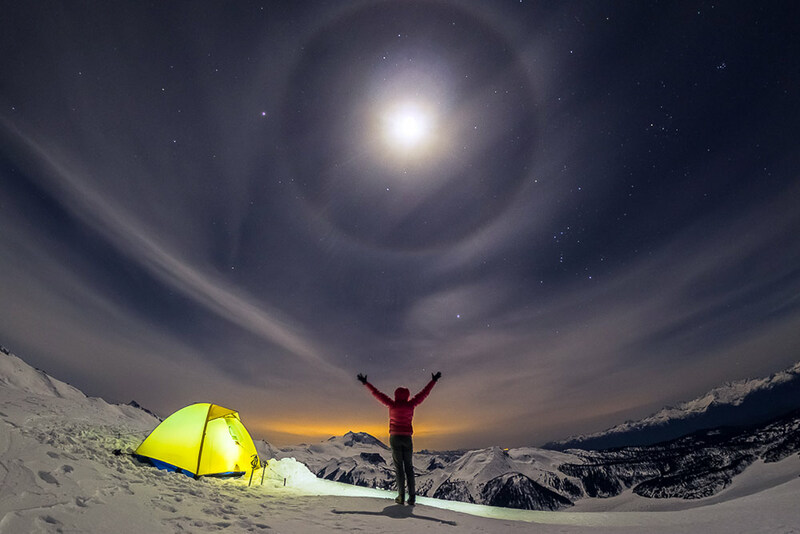 Pack your bags and get ready to stay out late at the top stargazing spots in Canada. Yes, Few of them are really amazing for stargazing. Great work. Very Nice ! I will have to plan a visit and bring my C11.